Warbirds News has some additional information to add to the story we published a few days ago regarding the new RAF Museum Hendon exhibit “Britain from Above” which will open on February 20th. The display will now feature a Supermarine Spitfire FR.XIVe fighter reconnaissance variant, complete with its oblique fuselage camera ports. This artifact will surely be a major draw for the exhibit, in addition to the magnificent images on view and effectively demonstrate an important facet of aerial photography. The aircraft, serial MT847, served with 613 Squadron (City of Manchester) out of Ringway Airport immediately after WWII. She has been on display in the Air & Space Hall at the Museum of Science and Industry in Manchester since 1995. 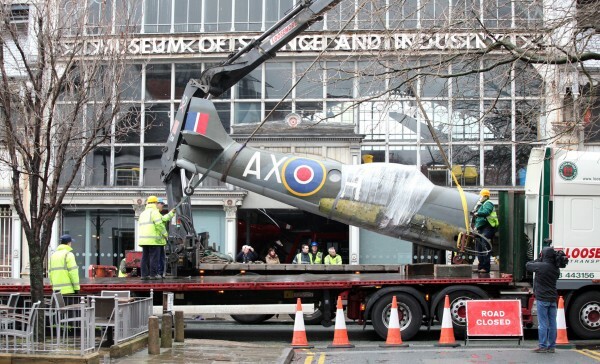 A team of RAF technicians carefully dismantled the Spitfire on February 9th, and shipped her down south to the RAF Museum. 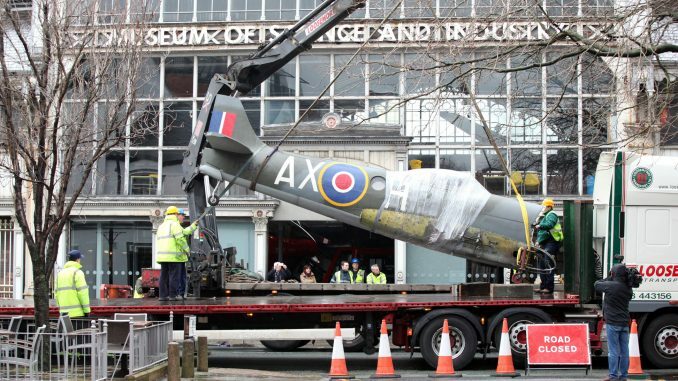 In the RAF Museum press release, Alice Cliff, Curator of Science and Technology at the Museum of Science and Industry in Manchester said. The Air and Space Hall at the Museum of Science and Industry remains one of the museum’s most visited halls where visitors of all ages enjoy learning about the early days of flying. Pride of place goes to the aircraft built by A. V. Roe & Co. Ltd (Avro), founded in Manchester in 1910. 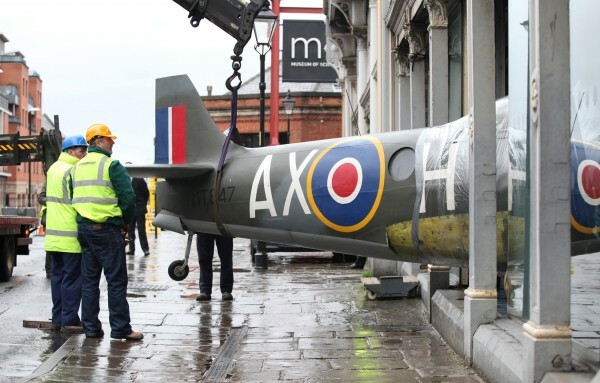 Visitors can also discover the links between car and aircraft production in Manchester. Please visit their website for more information. Britain From Above, opens at the RAF Museum, London on 22 February 2014 – 31 March 2015. 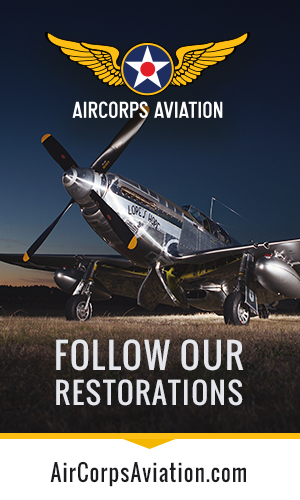 Please check www.rafmuseum.org for further details in planning your visit.